Thursday weather for NJ: It's cold. Very cold. Period, full stop. Thursday weather for NJ: It’s cold. Very cold. Period, full stop. How cold is it? As of this writing, the coldest temperature recorded in the state has been -17 at Sandyston, Sussex County. Every weather station in the state except Cape May has bottomed out in the single digits. Newark and Trenton airports hit 3 degrees, while Atlantic City saw 6 degrees early Thursday morning. How cold does it feel? Wind chills are mostly below zero, and have been as low as -20 degrees. 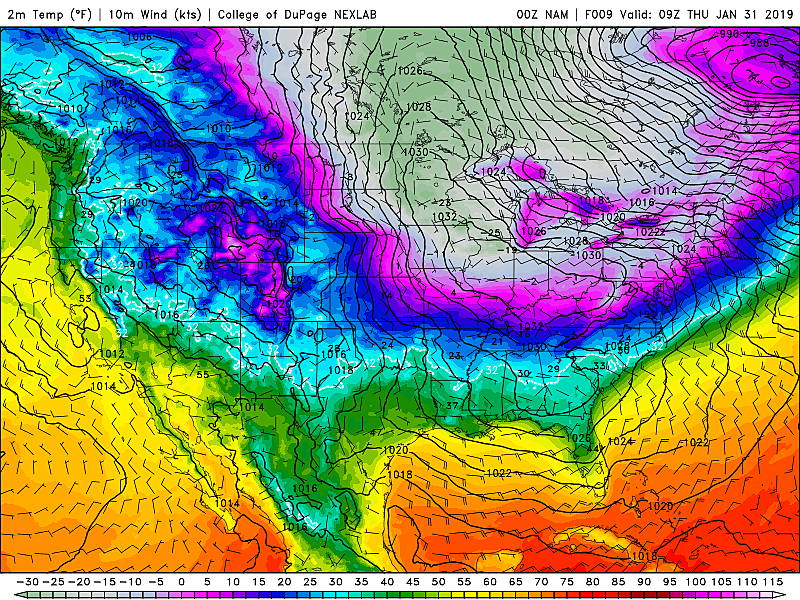 That combination of wind and arctic air is not only painful, it's downright dangerous. Is this the coldest it's ever been in New Jersey? Heck no, not even close. The lowest temperature ever recorded in New Jersey occurred at River Vale (Bergen County) on January 5, 1904. -34 degrees! When was the last time it was this cold? Newark Airport (Elizabeth) hit a low of 0 on Valentine's Day 2016. Trenton Airport (Ewing) was -2 a little more than a year ago, on January 7, 2018. On that same day, Atlantic City Airport (Egg Harbor Township) fell to -3 degrees. When was the last time it was this cold two days in a row? Most of New Jersey fell below 10 degrees Wednesday evening, so this is technically the second day in a row with single-digit low temperatures. The last time that happened at Newark was the cold snap of February 15-16, 2015. Tomorrow might make 3-in-a-row, by the way — the last time that happened was a quarter-century ago, January 18-21, 1994! How much snow on Wednesday? Those snow squalls were just as dramatic as promised. A brief period of very heavy snow and 40 mph wind gusts led to near-whiteout conditions and some quick accumulations. Most snow totals stayed below a half-inch. One public snowfall report of 1.1 inches came in from Succasunna, Morris County. Why the school delays? It's not unusual to get school delays in such extreme cold. (We even have a couple of closings.) I can't imagine how bone-chilling the bus stop would be on a morning like this. However, I'm not sure there's going to be much improvement after a 2-hour delay, as it stays cold all day. The temperature will climb from like 4 to 8 degrees. Not much improvement there! Do I really need to bundle up? Yes. As I've discussed ad nauseam this week, this is not "regular" wintertime cold. It is 20 to 30 degrees below normal for late January. It is beyond the threshold for dangerous cold. With wind chills below zero, frostbite can affect exposed skin within 30 minutes. The wind also carries away body heat quite efficiently, raising the risk for hypothermia. But it's so much colder in the Midwest? This isn't a competition. We're facing bitter cold. They're dealing with ridiculous cold, with wind chills as cold as -65. Do I really need to limit travel? Eh. I saw a recommendation from state government that advised us to limit travel unless absolutely necessary. I don't buy it — we need to save that suggestion for when it's really necessary. In my opinion, as long as you're conscious and fully prepared for the cold (and your car doesn't break down or something catastrophic like that), you'll be fine. A Wind Chill Advisory continues for all 21 counties of New Jersey until at least 10 a.m. Thursday. The brisk wind will combine with arctic air to produce dangerous biting cold, with wind chills between -5 and -20 across the state. The bitter cold continues through Thursday afternoon, with highs only in the upper teens. The wind chill will hover around 0. It will be sunny and dry, with breezy wind gusts to about 30 mph. Thursday night will be frigid again, with one important difference. Calmer winds! That will make a little difference — it won't be quite as painful or brutal overnight. Low temperatures will still sink into the single digits for most of the Garden State, with a wind chill holding steady near 0. We'll kick off February on Friday with more unseasonable cold. But again, winds will stay light. Look for highs in the lower 20s, with no significant wind chill to talk about. Skies will become mostly cloudy, as a weak clipper system approaches from the west. That little storm system is expected to produce a period of snow Friday afternoon and evening. It looks like the steadiest snowfall will occur in the southern half of the state (south of Interstate 195). On the one hand, our cold air is going to be very dry, limiting how much precipitation can form. On the other hand, it doesn't take much moisture to produce healthy snowfall, and the cold/dry conditions would lead to fluffy snow accumulations. 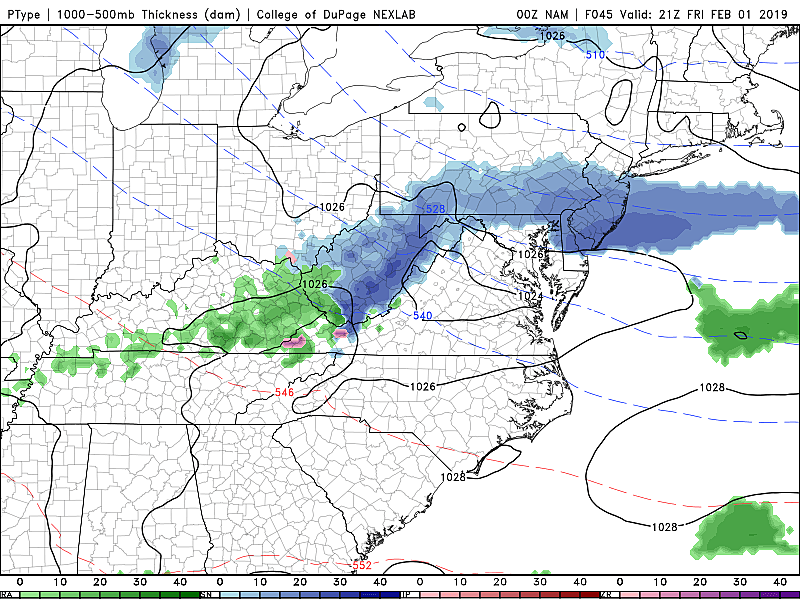 I believe we could see an inch or two of snow in the southern half of the state, with the potential for a coating as far north as Interstate 78. I'm happy to report we'll thaw out this weekend. On Saturday, we'll probably end up with more clouds than sun and perhaps a few sprinkles around. High temperatures should reach the upper 30s to around 40 degrees — close to normal for early February. Sunday gets even better, with highs ranging from the lower 40s (North Jersey) to upper 40s (South Jersey). I'm seeing pleasant partly to mostly sunny skies — could turn out to be a pretty nice winter day. The warming trend will continue for early next week, with 50s possible on Monday. Hey, we could even make a run for near-record 60s on Tuesday! Yes, you read that right. We're expected to go from near-record lows to near-record highs within just 6 days! There are no major storm systems on the horizon. Our next semi-significant weather maker will be a cold front that is expected to a batch of rain through the Garden State Tuesday night into Wednesday. Colder (not frigid) air will return to our forecast for the middle of next week. Source: Thursday weather for NJ: It’s cold. Very cold. Period, full stop.